Manage the maintenance and development of Actuarial models, people and processes. Create, develop and maintain best practice architecture and standards for the specification, building, testing and implementation of systems with appropriate performance, controls and documentation. Support the Head of Area in meeting ongoing requirements of the various internal and external stakeholders e.g. Group Finance, FLT, FL Board, FCA and internal and external audit including supporting priority finance projects. Provide actuarial modelling expertise, by using actuarial knowledge to stay up to speed with recent developments, to provide advice and recommendations in a particular area of specialism. Ensure that work produced conforms to relevant controls framework and Technical Actuarial Standards. Develop processes to ensure adherence with control framework and Technical Actuarial Standards. Coach and motivate junior actuarial staff to ensure they are developed in their technical ability and motivated to deliver in their role. Manage project teams in the development and implementation of new functionality in accordance with architecture and standards. 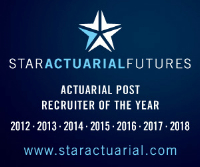 Fellow of the Institute (or Faculty) of Actuaries with post qualification experience. Experience and understanding of complex insurance business and an understanding of insurance markets, finance and modelling software and technology. An expert understanding of Financial Reporting Processes and how modelling impacts on results. An expert understanding of actuarial modelling processes and technology which can be applied in day to day activity. Good written and verbal communication skills – able to interact with more senior stakeholders. Ability to communicate technical content clearly (to all levels), including to a non-technical audience. Ability to plan and lead projects and direct other to achieve project goals. Deploying Analytical problem solving skills to wide range of modelling issues. Experienced people manager including the ability to organise, motivate and develop others.